Leading BMW World Challenge Touring Car team set to host and honor the Special Operations Warrior Foundation and to improve on their well publicized 2008 Watkins Glen results. 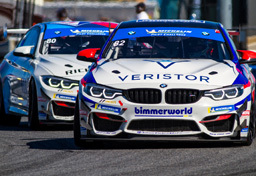 The upcoming Fourth of July weekend marks two important happenings for the BimmerWorld SPEED World Challenge Touring Car team. 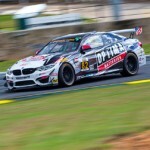 First, the Dublin, Virginia-based BMW racers look to honor the men, women and families of the Special Operations Warrior Foundation (SOWF) as the SPEED TC series stops in Watkins Glen, New York. Second, the trio of BMW E90s, driven by team owner James Clay, 2009 race winner Seth Thomas, and series veteran (and longtime SOWF supporter) Nick Esayian are also motivated to erase the memories of the infamous crash at ‘The Glen’ in 2008 that took out all three cars in an instant. 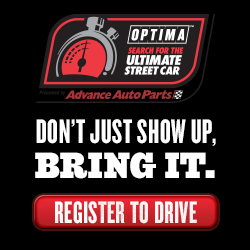 Once the BimmerWorld team’s attention shifts from the SOWF to this weekend’s race, Clay knows he’ll receive more than a few questions about last year’s accident. After footage of the 2008 Watkins Glen crash flooded the web, Clay’s team got plenty of attention, but not for the reasons he’d been looking for.